If the bands seem a little empty, that could be why. I think it hit shortly after 1600. CORRECTION - it was a monster X8 flare. 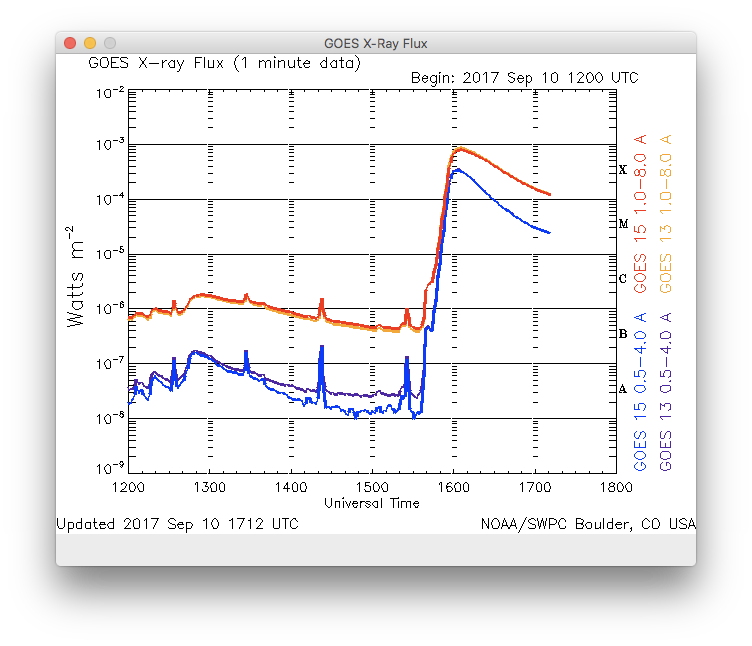 I got the X3.9 figure from another source, but it was probably measuring the X-ray flux at that particular moment. Still at X1.3 over an hour later. I noticed some enhancement on DGPS, glad I left it recording past the usual 1200z. I'll post logs later, and some comments. Very interesting. A few Canadian NDBs noted around 1745, but nothing remarkable.